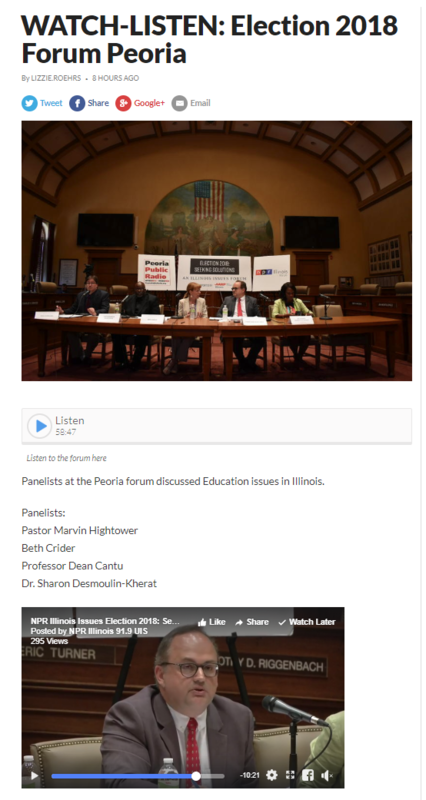 Dean Cantu Radio Interview on the Illinois NPR Show "The 21st"
SPRINGFIELD, Ill. (IRN/Capitol Bureau) – The real-life social studies lesson—the political campaign—is near a climax. 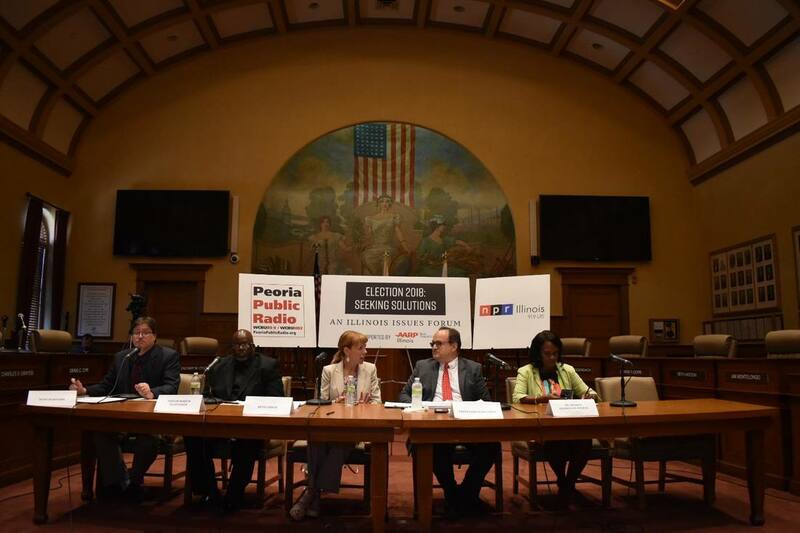 The lessons in the classroom are translating to the polling place immediately. 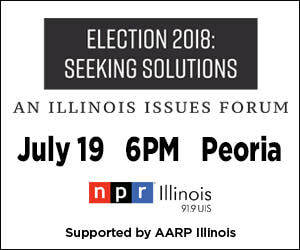 This is the first year in which a 17-year-old Illinoisan may legally cast a vote in the primary if that person will be 18 in time for the general election in November. 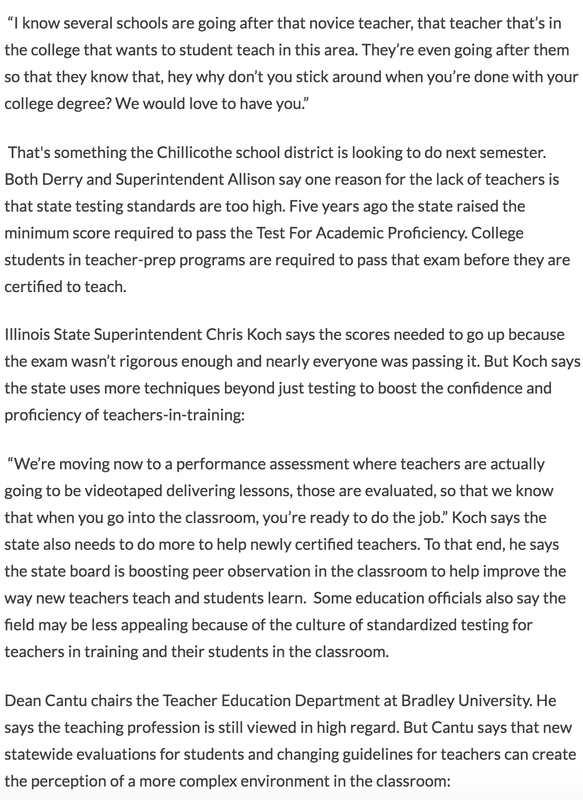 The executive director of the Illinois Council for the Social Studies, Dean Cantu, says it's a teacher's dream. 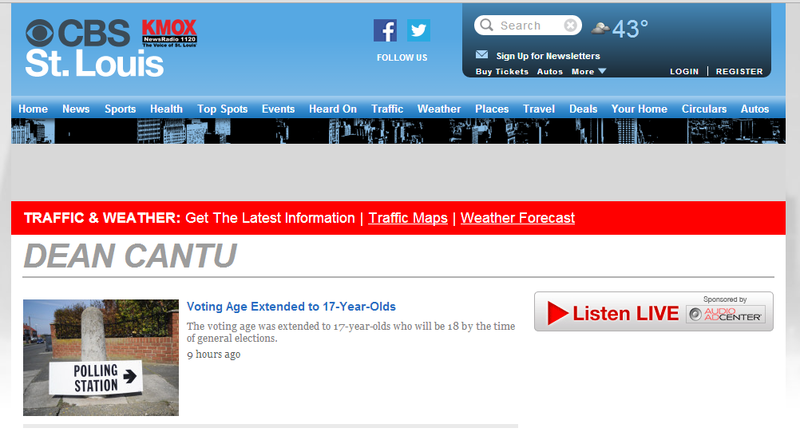 The vote is extended to 17-year-olds if they will be 18 in time for the November election. Some kids will ask for mom and dad for advice, others will be like T.V.’s Alex P. Keaton and do the exact opposite. 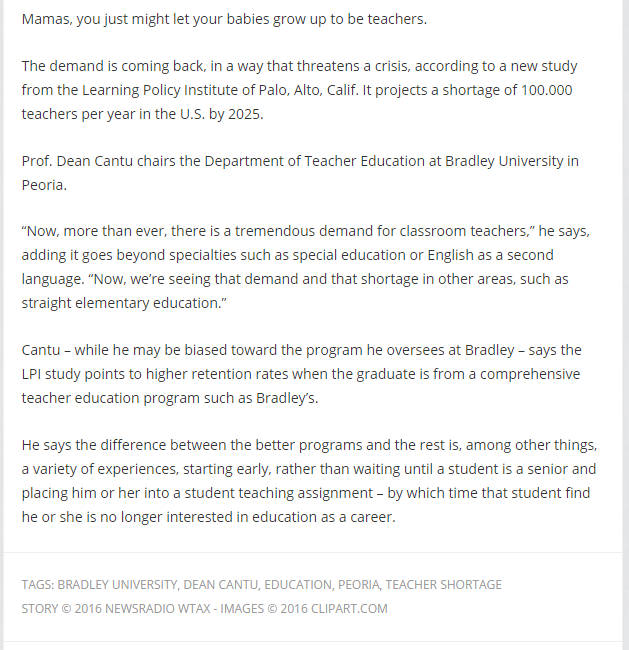 Dean Cantu, Department Chairperson and Professor at Bradley University, has a stake in all of this. 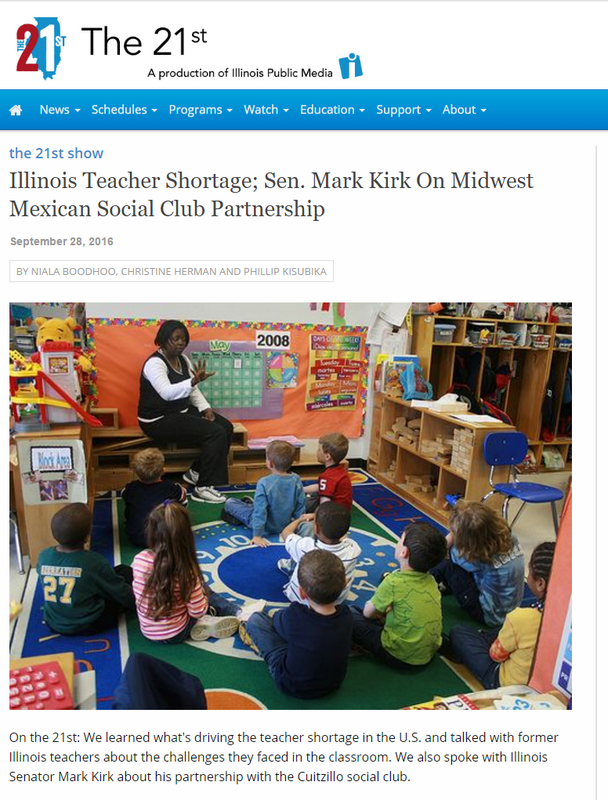 He runs the Illinois council for social studies and also directs the Teachers Education Program at the University. Illinois social studies students could soon be learning more about Mary Todd Lincoln’s mental illness. The sad story of Mary Todd Lincoln, including her “insanity trial” of 1875, could be coming to the classroom soon. 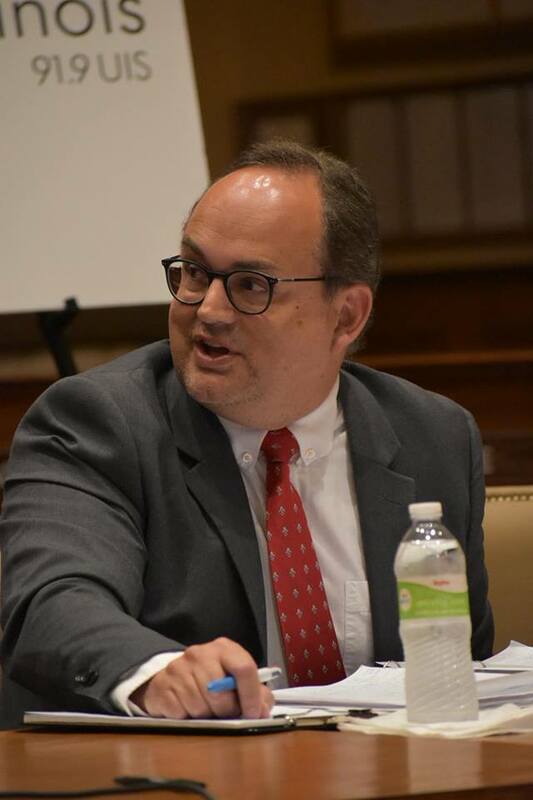 Dean Cantu, Executive Director of the Illinois Council for the Social Studies and Chairman of the Department of Teacher Education at Bradley University in Peoria, says there is a need to tell the “whole story” about our historical figures. 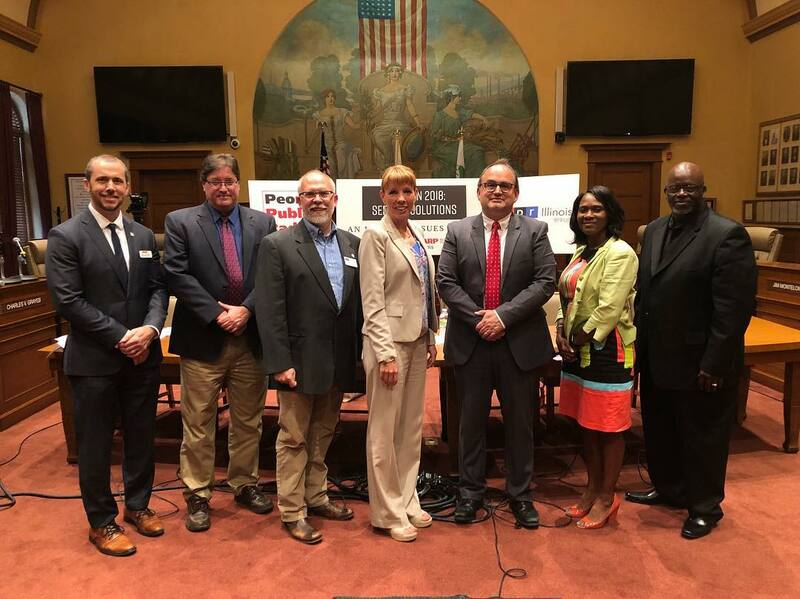 The lessons are as close as a radio, newspaper, television, or computer when the curriculum includes this year’s presidential campaign. The answers are usually not right or wrong. 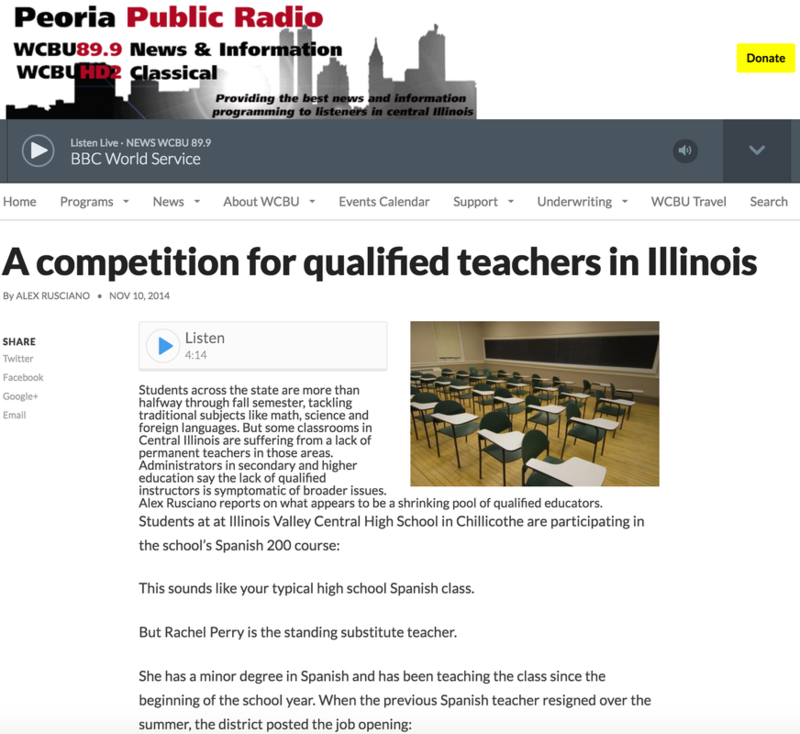 “Teachers aren’t grading on the position that students take, in terms of whether they are in favor of the Republican or Democratic candidate,” says Dean Cantu, executive director of the Illinois Council for the Social Studies. 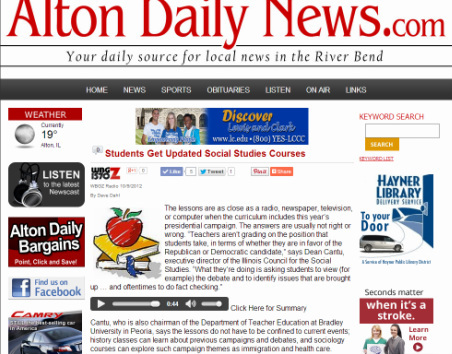 “What they’re doing is asking students to view (for example) the debate and to identify issues that are brought up … and oftentimes to do fact checking.” Professor Cantu, who is also chairman of the Department of Teacher Education at Bradley University in Peoria, says the lessons do not have to be confined to current events; history classes can learn about previous campaigns and debates, and sociology courses can explore such campaign themes as immigration and health care.